Unique Moments Photography will travel to most places to cover your weddings.This image was captured at Gearhart beach in Oregon. Gig Harbor and Port Orchard are side by side cities and we feel like we belong in both areas. This image is the best man, who just finished making his speech. He had a huge surprise up his sleeve. He was going to propose to his girlfriend. 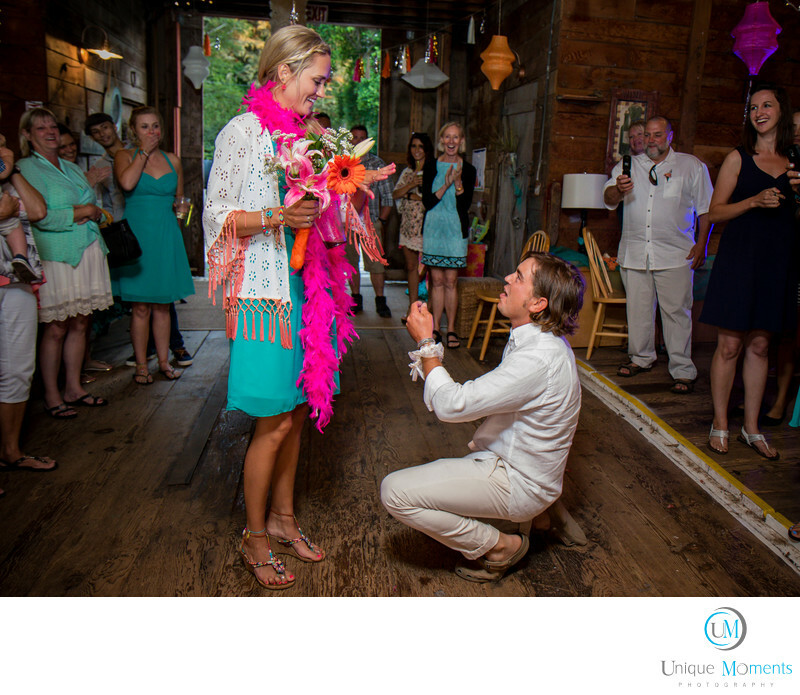 Right after the speech, he held the Microphone and said he had something else to say and then he popped the question. Everyone thought it was great. We are hoping to get a call for a 2016 Texas wedding. Something you don't see at weddings very often so it definitely qualified as a Unique Moment.We work very closely with the bride and groom, family members and the wedding party to make sure the day goes smoothly. Great customer service is our number one priority. Location: Gearhart State Beach OR.